The Seated Calf rise is an effective calf exercises; it is not the most effective when comparing it to the donkey calf rises or standing calf rises by holding a barbell. The exercises is simple and easy to perform, especially for those who are at their beginning of leg workout or calf mass building in particular. 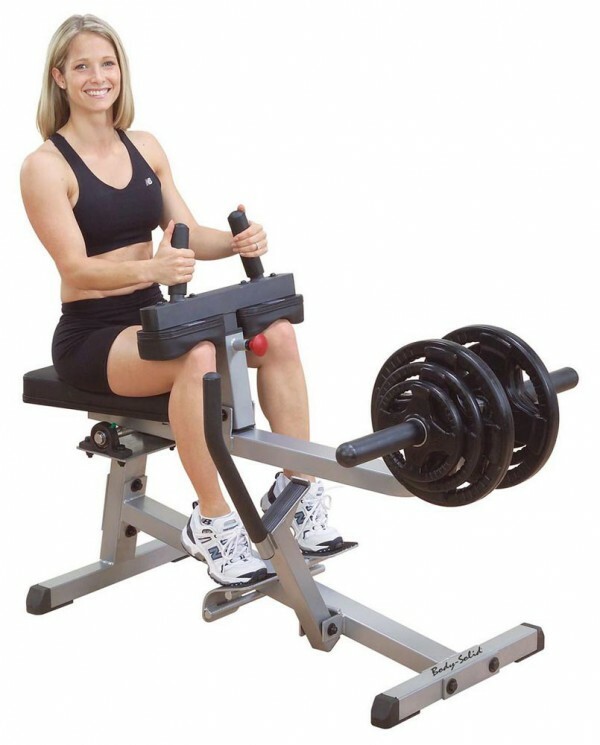 There are exercising machine build specifically for this exercise; very effective and tend to help you adjust to the movements of the exercise. However, when it comes to a hard-core exercising and great results, it will be great if you incorporate the exercise by using just a plain barbell or dumbbells weight. Here is how to perform it. Get a barbell ready with weight that you want, or get a pair of dumbbells in your hands; sit on a bench or a chair and place the barbell (dumbbells) on your knees. To put extra tension on the calf muscles, place an elevated step or something similar under your toes. With the barbell (dumbbells) in place, start lifting them with your toes; move nothing else but upper half of your feet. Make 3 sets of 12, 10 and 8 repetitions. Keep a straight back at all times and concentrate on using the calf muscles to lift the weight on your knees. You don’t have to look in the mirror for this exercise; look at the barbell (dumbbells) and make them work on your motivation.